GoFundMe, the world’s largest online fundraising platform, is pleased to announce that country music superstar Brad Paisley has launched a GoFundMe campaign and made a $100,000 donation to help the victims of the West Virginia floods that killed 23 and left thousands homeless. To view Brad Paisley’s GoFundMe Campaign, click here. 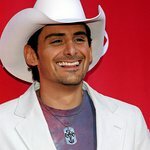 To raise awareness for the fundraising campaign, Brad Paisley hosted a Facebook Live event yesterday at 2pm CT. To watch the event, visit this page. “Now that the waters are receding it’s time to pitch in and help in any way we can. 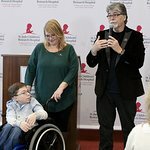 One of the best ways I have found that hopefully will raise the largest amount of money the quickest and get it to the people in need the fastest is through GoFundMe. I have set a goal of $1 million — this is doable and only a small portion of what is needed. Join me as we help West Virginians together,” says Paisley. The GoFundMe community has a history of coming together in the aftermath of natural disasters. Donors raised over $1 million for those impacted by the Fort McMurray fires in Canada. Over $1 million dollars was raised for the victims and their families of the earthquakes in Ecuador in April, and $7 million was raised on GoFundMe in the aftermath of the Nepal earthquakes.